Culture of Lickspittle » The ricin lad said the darndest things about his favorite TV show. You and lawyers will scratch your heads! The ricin lad said the darndest things about his favorite TV show. You and lawyers will scratch your heads! 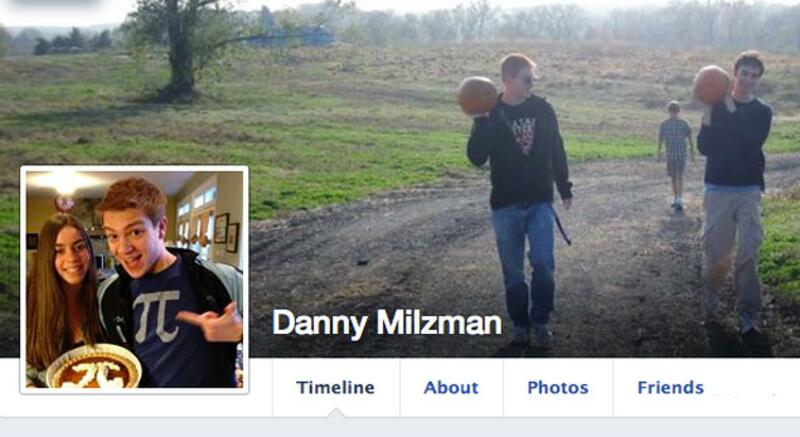 Young Georgetown ricin-maker, Danny Milzman, had a favorite TV show: Breaking Bad! In fact, if the lawyers in his case are to be taken at face value, one might say Breaking Bad broke him, in some hard to pin down way. I liked the show, too. Especially the end where Walter dies to Badfinger’s “Baby Blue” and the screen turns to black. Perhaps not as much as Danny Milzman, though. But Breaking Bad’s long fascination with ricin had nothing to do with reality of the poison. On the other hand, it has contributed to the weird beliefs Americans cleave to concerning it. Walter White first made ricin in the desert, with partner Jesse Pinkman, to poison two drug kingpins. They cooked it. You can’t cook castor seeds or any powder containing ricin. It destroys it. And this is probably what saved a woman, last year, who tried to poison herself. Contrary to American war on terror mythology, castor seeds and ricin don’t make a good weapon. In fact, it is even harder than one might think to achieve simple poisoning. “When the woman boiled the beans, she created ricin. The fumes contaminated the home, putting the family of 4 upstairs at risk. Proteins are denatured by heating. Ricin is a protein. And it is certain that it is destroyed by heat. Boiling the castor seeds is most probably what saved the woman’s life, although she was still hospitalized after eating 30 of them. Boiling castor seeds does not produce ricin gas. A Hazmat team was summoned. No one except the woman was every really in any danger. People who unintentionally consumed castor seeds averaged eight and a half beans per incident. Those who did it on purpose, perhaps some of whom wished to poison themselves, ate ten. One person even ate castor seeds and shot up a mix of them and failed to expire although they did suffer bloody diarrhea and vomiting! In the last episode of Breaking Bad, Walter White puts his ricin powder in Brock’s artificial sweetener at a coffee shop. We see it go into her hot tea and later she is shown in the grip of ricin poisoning. There’s that idea that you can put proteins, like ricin, in hot water again! And that consuming it is a sure death. There is little to no real support for any of it in the scientific and historical record. But it’s good mass entertainment! Whoever the science advisors were to Breaking Bad, on ricin — they were dogshite. The hit TV show “Breaking Bad” and its dark plotlines played an outsized role in a federal courtroom in Washington this week in the case of a Georgetown sophomore accused of turning his dorm room into a laboratory for the deadly poison ricin. In the case of the Georgetown student, defense attorneys have said Milzman was a troubled 19-year-old struggling with depression. He created the ricin, his lawyers said, because he wanted to hide his suicide plans from his family. If he became ill from the substance, no one would know that he had killed himself. But the federal prosecutor argued that Milzman’s statements about “Breaking Bad” suggested otherwise. She told the judge that the show’s protagonist produced ricin not to commit suicide, but to kill someone else. A friend said Milzman was such a big fan of the show he knew the name of each episode by heart. The judge asked if Milzman was such a big fan of the show, why had not the prosecutors brought it up on the day another judge had ordered the young man released to psychiatric treatment in a DC hospital? The government’s lawyer responded she had been unfamiliar with the show. “I was not as familiar with the show then as I am today,” said Assistant U.S. Attorney Maia Miller, according to the Washington Post. The government argued Milzman’s language on Facebook, threats against someone else, echoed another grisly moment from Breaking Bad, one in which someone’s body is disposed of by dumping it into a plastic barrel of hydrofluoric acid. The case of Danny Milzman should give you a headache. All American ricin cases should. I’ve argued that ricin cases have been the domain of the senseless for years. The only exceptions are those very few obviously done out of pure malice, like the J. Everett Dutschke case last year. Shannon Richardson, the Texas woman, also from last year, who mailed the poison to the president in an attempt to have her husband jailed, aka Ricin Mama, was, like Danny Milzman, mentally unstable. Matthew Buquet, the to-the-president-ricin-mailer in Spokane the same month has been recently bound over for psychiatric evaluation. Buquet mailed the president on a company’s stationary where he was a night janitor, apparently because a secretary he took a shine to did not return his affections. Jeffrey Levenderis, from Akron, Ohio, mentioned all this week, was a deeply depressed man living in a nursing home in 2011 when he was arrested for castor powder in a jar in the refrigerator at his former home. And Casey Cutler, from Arizona during the height of the war on terror, was merely an addled young man with a drug problem, who did not even make ricin, but someone who impossibly tried to concoct it from castor oil in a plan to defend himself from drug gangsters who had beaten him up for being short on payment. But because of the war on terror, the news and entertainment media, plus national security experts mythologizing about ricin, an artificial and crazy environment exists in which the US position on it is intellectually untenable. There’s no diversion program for first time castor powder makers with no criminal priors and extenuating circumstance like mental illness and no harm. A diversion program, or a reset of legal definition at the federal level, would take care of many of the distasteful things now obvious again because of the Danny Milzman case.